Former Ryder Cup captain Paul McGinley, who has succeeded McIlroy as host of the Irish Open at Lahinch in 2019, wrote in a column for Sky Sports that the possibility was "very disappointing" and that he found it "hard to understand". 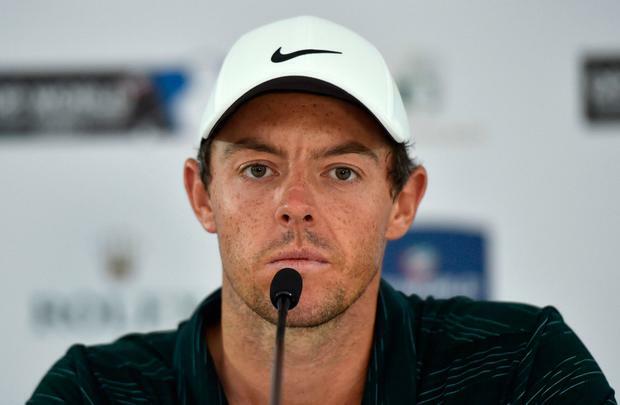 "Geez, I'd cause all the stirs in the world if I go back to winning majors," McIlroy said. "Everyone has to look out for themselves and next year I'm looking out for me. "At the same time, I don't have to make a decision on it. I didn't say that it was a definite. It's up in the air. I don't have to make a decision till May. We'll see how it goes. "McGinley is on the European Tour board. He's involved and he has to protect what he has, and I get it. Again, everyone has to do what's best for them and for me next year I'm trying to do what's best for me to help get back to the best player in the world and try to win majors again." "It's 20 years away," the 29-year-old added.